Every person has a dream to do something adventure and wants to get some breathtaking experience. 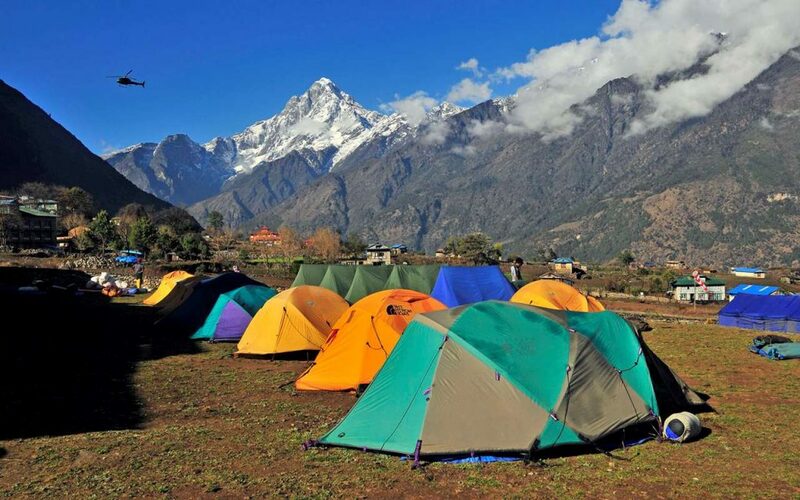 India is a vast country which provides so many trekking platforms for those persons. They can make their dream true. There are so many thrilling activities which can be done on water, snow and air. Tourists from all over the globe explore those destinations. What a view can be observed of the place from the high peaks while trekking? Can’t be explain in words. We are providing you the list of 15 Top Destinations for Adventures Trekking in India for 2018. You can pick any of them for your trip. Araku valley is an outstanding hill station situated in Andhra Pradesh and 120 km from Vishakhapatnam. It is a worth exploring destination. It can be a good trek for novice. Galikonda, Tribal museum and Padmapuram garden are the nearby tourist attractions. It is a beautiful and third largest peak in the western ghats of Karnataka. It is nestled at a height of around 1712 m. In a 15 km trek you will get some stunning views. It is considered as one of the toughest treks. It is the tallest peak in Kerala situated at the height of 2,100 metres above the sea level. It is 9 km long trek which can easily be completed in 1 day. This can be perfect trek for those who are experiencing their 1st trek. If you are looking for long days and tough trek then it can be your ideal destination. Trekking to Dzongri will provide you some breathtaking views of third highest peak in the world i.e. Mount Kanchenjunga. September-November or March-April is a perfect time to be here. It is 80-kilometre trek located at an height of 5,200 metres which can complete in 10 to 14 days. While the trip you will come across the Ladhaki/ Tibetan culture. You can enjoy the scenic view of local tribes with multi-colored Tibetan flags. Like a name ‘Valley of Flowers’ it is surrounded with beautiful flowers named zinnias, petunias and poppies. Endangered species such as Mountain leopard and blue sheep can be spotted here during the trekking of this beautiful valley. If you are adventure enthusiasts and looking for some hardest trekking place then do not waste your time move to this trek. You have to climb over the icy rocks and sleep in the caves at night. It can be a challenging trek for you. It sounds toughest 90 km long trek which can be covered in 11 days but it is magnificent. April to September is the best time for trekking here. Kanchenjunga National Park comes on the way while on the trekking. This destination offers 2 trekking options. First, plain 15-kilometre walk from Lonavala and Second, 2,000-foot climb from Kondivade village. Both can be completed in one day. You will get some stunning and panoramic views from the top of the hills. It is an opportunity for the daring persons to complete this challenging trek. It takes 7 to 9 days to be completed. It is located at an elevation of 4,800 metres. While on the trip you can also explore Roopkund’s famous Mystery Lake. It is a beautiful Trek in Himachal Pradesh near Dharamsala at approximately 4,300 mts. April to October is the perfect time for trekking. Large crowd can be spotted during this time. Trekking lovers can also move to Kodachadri which is nestled at a high altitude of 1344 m. It can be started from three different routes. And it is only a two-day trek. October-January is the best time to be visited. Deoria Tal offers you a beautiful weekend trek combined with Tungnath and Chandrashila which attract the tourists. There is not so much snow so it is a easy trek. Beautiful reflection of Chaumkhamba and Kedar peaks can observe from the nearby lake at the time of sunset. While on the trek at this place you will get the feeling like you are trekking on moon. It sounds romantic like going on moon. You have to pass through some beautiful and difficult snow covered mountain peaks. It is a very interesting and breathtaking route starts from the Zanskar. It takes around three weeks of time to be covered. It is located between Kargil and Leh so it counted under the category of popular and tougher treks in India. These are some of the popular treks in India where you can get some interesting, stunning and breathtaking experiences. These destinations can be come as paradise for nature and trekking enthusiasts. Get Ready and Go for Dare!! !